One week down in the A-Z Challenge and 3 to go! I'm continuing my theme of blogging tips today talking about Google Plus. 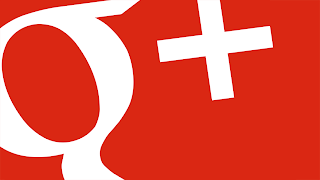 Google plus, like any other social media site can enhance your blogging experience. Unfortunately, there is no way to get your blog posts automatically published to your Google Plus profile. If you have a fan page, it's easily done, but I'm not going to go into detail with that here. It takes a little extra time, but I always publish my blog posts to Google Plus anyway. Why? Because I have my blogger profile linked to Google Plus and I want people to be able to find my blog easily. If your blog is linked to G+ you should do the same. A Word of Caution: should you chose to do this, make sure you're posting other things as well so that you don't annoy those who follow you. The same rule applies to ANY social media site. I usually post the same thing that I've written on Facebook to my G+ page becasue I find those who use G+ don't do Facebook as much and vice-versa. The point is to get your name out there and make connections. You don't have to spend tons of time on each social media site to make it worth your while, but you do have to spend some time if you're going to use that site to promote your own stuff. I recommend 10min on 3-4 sites daily. You'd be surprised how much you can engage people in such a short amount of time. Questions about Google +? Leave me a comment! I also joined Google+ a while ago - I was one of the betas I think. I notice more men post on it than on FB (or is that just my notion?). I rarely visit it now because FB and Twitter really take up most of my time. My two profiles aren't linked, but I am on Google+. And crap, the only time I post something, it's a link to a blog post. But I only do that maybe once a month, for important stuff. I love Google, but I hope they don't try to become like Amazon and bully everyone. Informative topic you've chosen for your A-Z challenge. I did join it, but so far I haven't done anything with it. Mind you, I still haven't completely got to grips with Facebook. I seem to have a mental block about them! These are so great. I'm realizing how clueless about social media I really am, lol. I actually really like Google+ but I was one of the betas and nobody was on there so I didn't ever really start using it. Maybe I need to look at it again. Such an informative post. I think this blog challenge has really whetted my appetite for learning more about communicating with people through various means. I'm on Google+ and FB and Twitter, but haven't been using any of them to the maximum benefit. Thanks for the post. I don't think I'm on Google Plus. I heard something awhile ago about one's profile and browsing history being public information if one joins that network, and that kind of gave me the creeps. i always forget to post my blog on my google+ page, but I do have a Google+ button on my blog. Great theme for the A to Z challenge. Google+ is such a great system, but with everyone on Facebook I feel like I can't really justify creating yet another social networking profile. Some great tips! I admit I don't use Google +. I have it, but have never used it. I feel like it is too empty and there's no one around. I stick to Facebook. I use Google+ as well.